Enjoyed a lot the haggis class before dinner, awesome experience and I would be happy to repeat again. Love the drive up there with the beautiful scenery. The food and service is amazing. Another top attraction there is the tasty deep fried Mars Bar dessert. A must have! 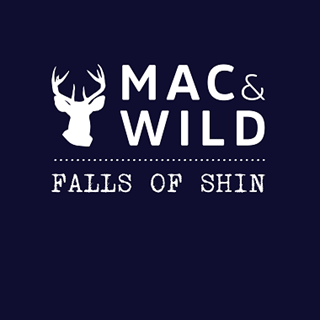 After hearing fantastic things about Mac & Wild at Falls of Shin we were extremely disappointed with our visit to you yesterday. On arrival, and in general, staff were uncoordinated. No staff were there to greet you or show you to your reserved table. We were visiting with our baby and had requested a high chair which I had to ask for again. After ordering, predominantly from "the counter" section of the menu,  our food took 45 minutes to come to the table. There was no explanation given as to why we were kept waiting. The food was distinctly average. I also ordered a "happy meal" from the kids menu which included a mini sandwich. What I received was a large filled brioche bun which an adult would have a hard time getting their teeth around, let alone a 1 year old. Surely staff should have made me aware this would not be a suitable choice for my son to have for his lunch. On leaving, no thanks or goodbye's were given from any of the staff. Such a shame, a beautiful setting and great activities for kids ruined by badly trained staff and so-so food. Absolutely brilliant! If we lived closer would be there every week! Staff were friendly and knowledgable and restaurant was a great place to be. Loved the restaurant decor, food was great, wine delicious. Was disappointed to find out we had been charged for the more expensive wine but served the cheaper one. We questioned this and was told there was no button on the till for the cheaper wine. We were also the only diners in the restaurant all evening, a table of 2, so can't really comment on atmosphere, as we had a private dining experience. Anitger reason the bill should  have been ccorrec. We felt also that the sauce for the venison topside should have been included and not charged at an extra £2.50. The food was cooked very well though, we loved the chair blankets as a nice wee touch and the wine was delicious, even if we were over charged in the end. Lovely meal, lovely place to be. The food was great as it was the first time we went. I have been recommending it to my friends... will start tweeting to spread the word! We had an outstanding evening at Mac & Wild, Shin Falls on Saturday, the food was fantastic as was the service. We are there most weekends and really enjoy the experience. One tip would be to have another tonic to enjoy with the gin, the Bon Accord one did not compliment the Botanist Gin. Maybe try Fevertree or Cushy Du. Our only criticism would be that service was a bit rushed. We prefer a more relaxed experience. Especially when there weren’t many tables occupied. The food was truly excellent. Thoroughly enjoyed it. Booking on-line was straight forward. I felt the restaurant was lit too brightly for evening time, which ruined the atmosphere. The staff were very polite and attentive. My only criticism is that there was no time between starter and main being served. Our main was served immediately after our starter had been cleared. This made the meal feel very rushed, which was a shame because the food was lovely. Best burger I have ever had. Brilliant service got our food so quickly! Highly recommend it! We were greeted and seated with welcoming arms. We then proceeded to our meal which was not up to expectations. After following you on Insta I was expecting nothing but the best. My partner had the burger which was fine and I had fish and chips. The batter of my fish was raw, we were not asked of we enjoyed our meal until paying and when we left our plates were still on the table which we sat. This would have been fine if a busy day but with 3 tables in and 3 waiting staff standing chatting I expected better. We have booked with you in London for October and seriously considering cancelling if it will be like this. The food was great as was the service, second time there for me and looking forward to returning. What a lovely surprise. Well worth a visit!